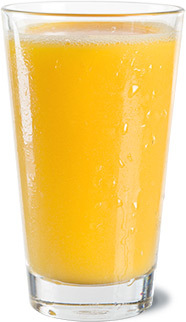 Happy National Orange Juice Day! Now, that’s cause for celebration. But today, we raise our glass to you — the registered dietitians and nutritionists working tirelessly to provide clients and patients with practical dietary advice that becomes second nature for life. The Florida Department of Citrus applauds your devotion to helping people attain a healthy and active lifestyle. To that end, we thought you may enjoy perusing our 100% OJ Nutrition Facts section of our site. We hope the information on these pages and the other resources listed below will assist you in providing sound and evidence-based advice to your clients and patients about consuming 100% orange juice as part of a healthful diet. If your patients and clients ever need kitchen inspiration, we have got a veritable goldmine of suggestions. Explore our recipe bank with citrus-inspired culinary creations that will delight taste buds. And for a personal back story to the food on your plate, wander on over to the section of our site that houses grower stories. Learn about the dedicated citrus growers who’ve been working hard to bring safe and nutrient-rich Florida Orange Juice to the table for generations.